Baby, it’s cold outside! That means you are probably having more indoor time than usual and this just may be the perfect time to work on potty training your toddler. It can be hard teaching your little one to use the potty if you are always on the run so set aside some designated potty training time indoors. You will need at least a few blocks of time at home to employ what I consider to be the best potty training method. As a new parent I was totally focused on potty training as making the switch from diaper to potty but it also includes the less glamorous part of teaching the toddler to wipe their bottom and wash their hands. I’ll be sharing my best potty training & wiping tips. This post is sponsored by Charmin and having Charmin on hand can make your child’s potty training experience more enjoyable! To me, the best potty training method involves the naked play method. If you think your child is ready for potty training (they seem to notice when they are about to go and they can undress themselves) you can give this potty training method a try. My most important advice is to understand that potty training is a huge accomplishment for your child and it shouldn’t be rushed or pressured. It should be set up for success and celebrated. If everything doesn’t go perfectly, don’t stress out, rather encourage your child. When I say the best potty training method is the naked play method, I mean that you can have your toddler wear no pants so they can quickly hop on the potty when they feel like they need to use the bathroom. You set aside some time to play with your child in one room and you give them plenty to drink. Then you get them excited to practice using their potty. You explain that you want them to get to use the potty successfully so they don’t have to wear any pants and they can just hop on the potty if they feel like they need to go or if they start to go. Then you just play games and have fun with your kiddo until they feel the urge to try the potty and you can celebrate their win. I think this is the best potty training method because it allows toddlers to notice that sensation of needing to pee and being able to do it in the potty. Many times, the toddler may stop playing and start to pee before noticing what is happening. This naked play allows them to start matching the feeling of pee coming with the idea that they need to go to the potty and then learn how it feels to urinate or poo sitting down. This gives them the chance to do it right and receive positive feedback. Keep in mind that if they start to urinate during play, you need to say something encouraging like, “You are starting to pee so get on the potty. This is exciting that you are learning.” It probably won’t be perfect from the beginning. But this is all about helping them connect the dots, feel the sensations, and know what to do. Your support and encouragement will help them want to learn without being embarrassed. A toddler needs to learn that potty training involves several parts- they need to recognize the urge to go, they need to go to the potty, they need to be able to remove their pants and underwear, go in the potty, then wipe, flush, and wash hands. There is a lot to learn and a lot to be proud of! Once your toddler has mastered using the potty, they must learn to wipe. Potty training wiping is a less exciting part but it is very important. Proper wiping technique is necessary to keeping them clean, itch-free, and healthy. Teaching a toddler to wipe their bottom is very easy but you will need to help them with the process and inspect the process many times before they master it. Potty ready means Charmin ready. 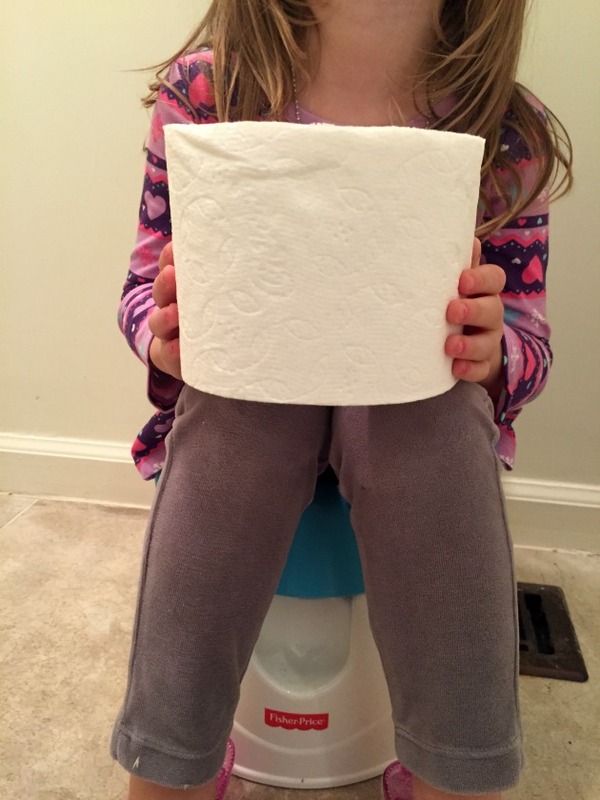 Every parent has unique tips and tricks they use to make the potty training experience fun and easy, but two necessary elements are the potty and the toilet paper. Charmin is a great choice because it is soft and makes it easier to enjoy the go and because it is strong won’t tear when your little one is trying to wipe. 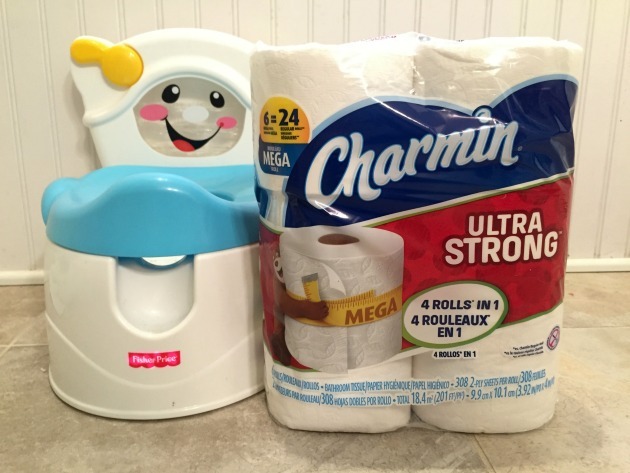 I suggest Charmin Ultra Strong for potty training because Charmin Ultra Strong cleans better and you can use up to 4x less than the leading bargain brand. Charmin Ultra Strong has 4x the strength when wet vs. the leading bargain brand so your little one can get clean without the paper tearing. Help your chid learn the proper amount of toilet paper to use. You can tell them to count a certain number or squares or to pull enough toilet paper to reach from wrist to elbow. Help your child learn how to roll or wrap the toilet paper and then how to wipe. For girls, it is important that they wipe from front to back to avoid infections. For teaching a toddler to wipe their bottom, it is important that they understand they are trying to wipe all the poopy off. So if the used toilet paper has brown on it, they should get another section of toilet paper and try again until the used toilet paper doesn’t have any brown on it. You will also want to explain the importance of a good wipe to your child so they understand that wiping is important to keeping clean, staying well, and not being itchy or stinky. Remember that potty training is a process. Even once they get the idea, it will take repetition to perfect it. We used a printable potty training sticker chart to help keep my kids excited about the potty training. If you click that link it will take you to a google document potty training sticker chart that I created and you can print it on landscape and give your child a sticker for their chart as they master potty training behaviors. I hope you found these potty training tips useful. What do you think the best potty training method is? Teaching a toddler to wipe their bottom properly and to wash their hands well is all part of the potty training process. Please share this post with friends and family that may be potty training soon. Also, feel free to share your own potty training tips in the comments! This is a bit of a challenge for me with my eldest child. I really didn’t have any idea where to start with potty training with him. Blog posts like this are great for inspiration. Thank you for sharing these great tips Scarlet.